Chasing the face of Buddha. 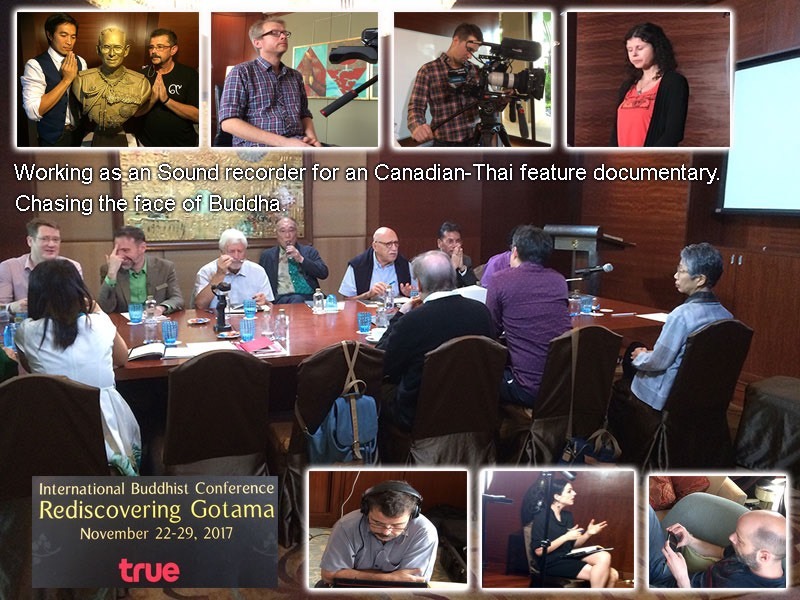 Working as the Sound-recorder for the “Rediscovering Gotama” international Buddhist conference. Working for an Canadian-Thai production for a Feature documentary "Chasing the face of Buddha”. Recording 6 ISO audio tracks, feeding two cameras, and IFB to Client. A very challenching Job we did.